WELCOME….Our website provides information to both prospective and currently enrolled graduate students as well as members of the faculty and staff at the university. If you are a prospective graduate student, we look forward to welcoming you to Jackson State University. 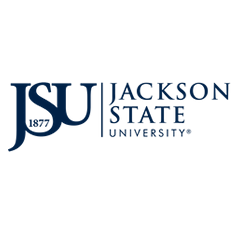 The Division of Graduate Studies' web site provides information for prospective graduate students regarding our more than 50 graduate programs, application procedures, and other information related to graduate education at Jackson State University®. As a currently enrolled JSU graduate student or a member of the faculty or staff, we hope that you find the information you are looking for on our web site. We have provided links to make it easy for you to find information regarding graduate academic procedures and policies, administrative information, calendar, and forms. Jan. 15th New Graduate Student Orientation, 4:00p.m.- 5:00 p.m.
Apr. 18th Last Day for Clearance via "Online Graduation Clearance"